4/29/2018 Online Sunday Night Sportsman Auction. An Online Sunday Night Sportsman Auction Ending on 4/29/2018. 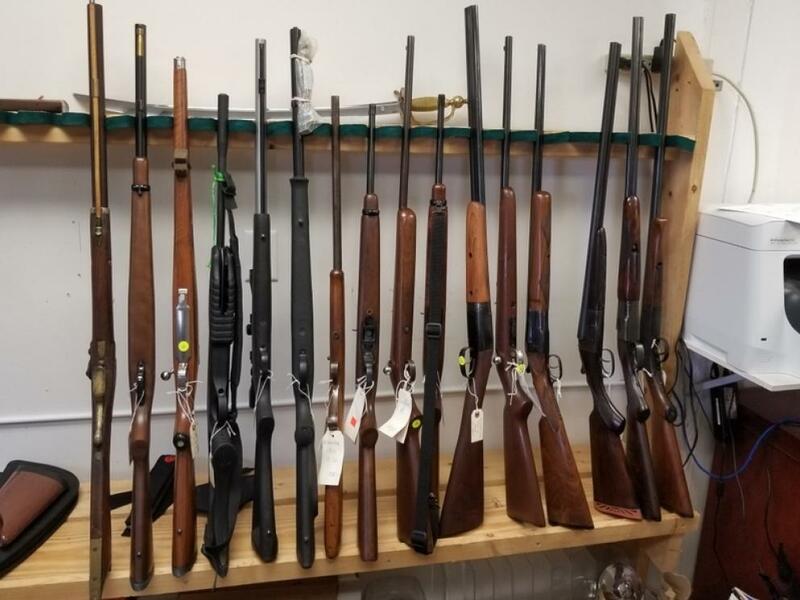 JOIN US APRIL 29TH FOR AN UNBELIEVABLE SPORTSMAN'S ONLINE AUCTION THAT INCLUDES EVERYTHING FROM DOUBLE BARREL 410 SHOTGUNS, A COLLECTION OF RUGER HANDGUNS, A RARE AND VERY COLLECTIBLE CASED MAUSER / INTERARMS LIMITED EDITION PARABELLUM LUGER MODEL 1902 CARTRIDGE COUNTER COMMEMORATIVE SEMI-AUTOMATIC PISTOL, #11 OF 250, A NUMBER OF FIRST EDITION BOOKS SIGNED BY THE AUTHORS, THE PRIVATE DUCK DECOY COLLECTION OF A DUCKS UNLIMITED MEMBER, A COLLECTION OF KNIVES INCLUDING SEVERAL HANDMADE CUSTOM KNIVES, REMINGTON BULLET KNIVES, AND MANY OTHERS, FOUR DECOYS CARVED BY R. MADISON MITCHELL REGARDED BY MANY AS "THE CHESAPEAKE’S DOMINANT DECOY MAKER". 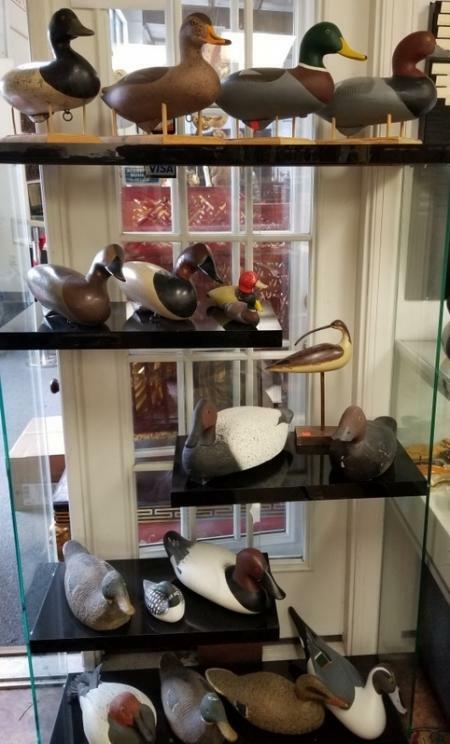 WE ALSO HAVE A PRINT OF MADISON MITCHELL SURROUNDED BY DECOYS THAT HE HAS CARVED, WITH HIS SIGNATURE, AND A BOOK WRITTEN ABOUT MR. MITCHELL LIMITED EDITION ALSO SIGNED BY HIM. 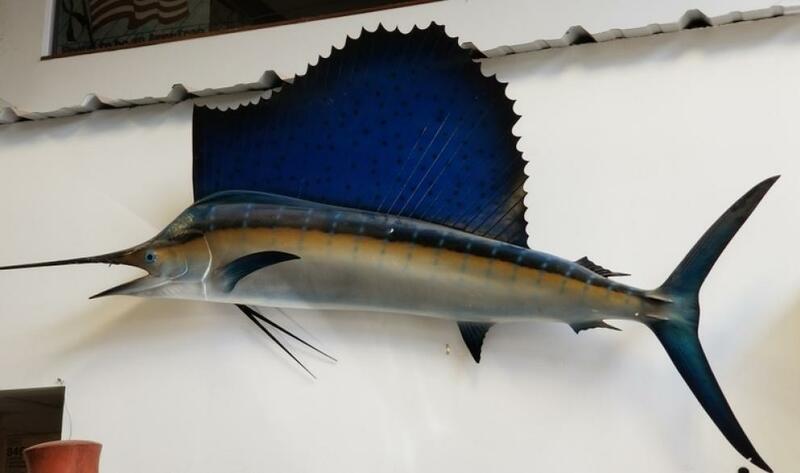 A FULL BODY MOUNT OF A SAILFISH, A VINTAGE HEAD MOUNT OF A HAMMERHEAD SHARK, A FANTASTIC SEA TURTLE DRIFTWOOD SCULPTURE VALUED AT $1,500. A VINTAGE HADLEY SIGNED SWORD FROM THE COLONIAL WILLIAMSBURG RESTORATION PROJECT IN WILLIAMSBURG VIRGINIA. THIS SWORD BEARS THE COLONIAL WILLIAMSBURG RESTORATION MARK, IT WAS PREVIOUSLY ON DISPLAY AT THE ARMORY IN WILLIAMSBURG. NEVER BEFORE OFFERED FOR PUBLIC SALE. WE ALSO HAVE A NUMBER OF PIECES OF RUGER COLLECTIBLES SUCH AS COUNTER MATS, SALES INFORMATION POSTERS, AND MORE... MAKE SURE THAT YOU MARK YOUR CALENDARS, THE SALE ENDS APRIL 29TH STARTING AT 7 P.M. DON'T MISS THIS ONE! All items will begin to close on Sunday Night 4/29/2018 at 7:00PM Eastern.